ESI Flight training is performed by highly experienced pilot instructors that provide the instructional expertise needed to quickly understand, with confidence, the operational characteristics of your airframe during both normal and emergency situations. The emergency procedures conducted in single engine aircraft include full down autorotations and full down hydraulic failure landings. Emergency training in multi engine aircraft include full down single engine landings. We perform all full down maneuvers to the runway environment. This dramatically increases safety during the training event and reduces wear on the airframe by allowing the flexibility of the crosstubes to absorb the landing forces as apposed to the airframe. The ability to perform an autorotational landing is by far the most important skill set a pilot of a single engine helicopter can have. It is also the maneuver that has the lowest proficiency level throughout the industry. 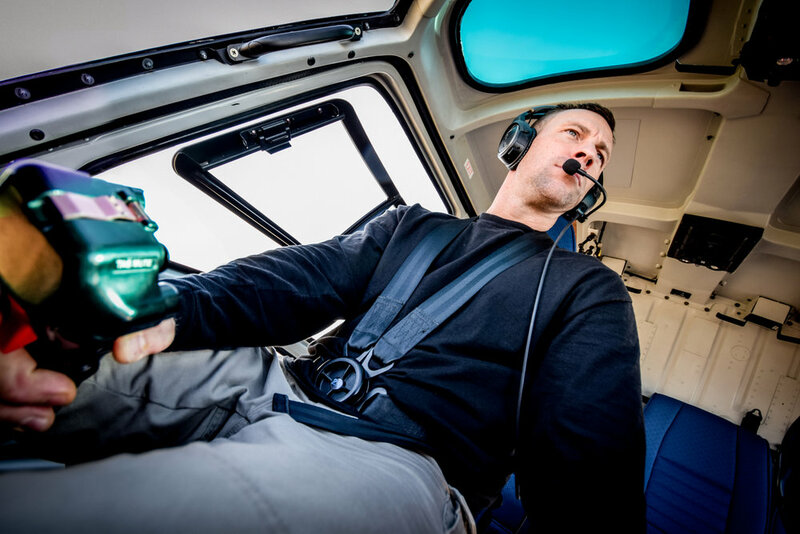 Most companies have come to realize that having their instructor pilots teach full down autorotations once a year puts two pilots in a helicopter with neither proficient in the maneuver. So instead, they opt for power recovery autorotational training thinking that this will teach the maneuver without putting the aircraft at risk. The reality of power recovery autorotational training is that it can teach NR and speed control but will also condition the pilot, through muscle memory, to make the wrong control inputs at the landing phase of the maneuver. Because the pilot becomes accustomed to having lift from the engine at the bottom of the power recovery autorotation the normal reaction during an actual autorotation is to not pull sufficient collective before landing. This causes the aircraft to land at a severe rate of descent, which unfortunately can often be fatal. With a EuroSafety instructor providing your autorotation training you have a pilot that is highly proficient in the maneuver and has performed thousands of successful autorotations without damaging a single aircraft. 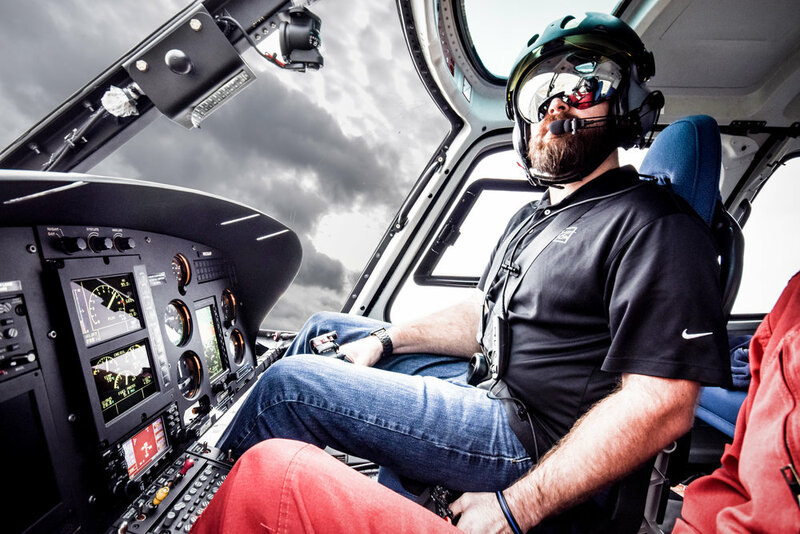 With your pilots having the skill sets necessary to successfully land the helicopter after an engine failure this not only ensures your pilot and passengers will live, but will also protect the company from potentially catastrophic fiscal litigation. To enhance safety during the full down autorotational training and to reduce wear on the aircraft all full down maneuvers are conducted to a runway environment. This requires the helicopter to be equipped with carbide skid shoes. If the training aircraft is not equipped with these shoes ESI can provide a set, free of charge, during the training event. 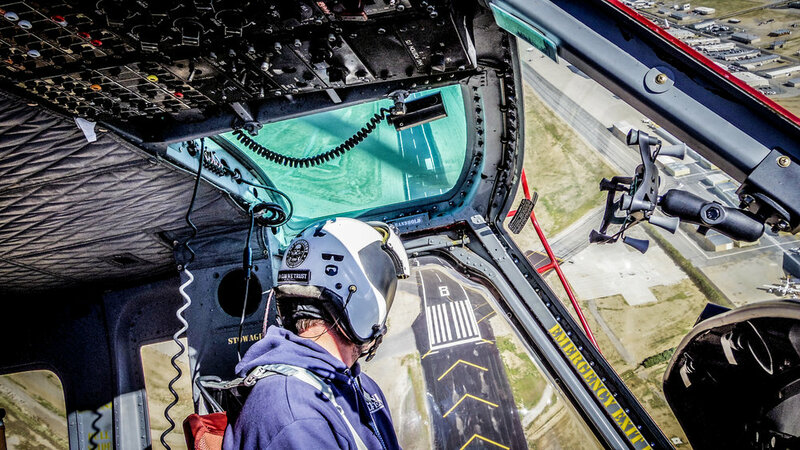 When a pilot transitions from flying a single engine helicopter to a multi-engine airframe one of the first differences that is apparent is the increased system knowledge that must be retained. What isn't initially apparent is the necessity to develop a new mind set when dealing with engine malfunctions. The majority of single engine flights in multi-engine helicopters were induced by the pilot securing a powerplant due to a malfunction. The mind set to turn off a running engine can be a very difficult mental block to overcome. The most common statement made by a new multi-engine helicopter pilot is "Why would I turn off an engine that is providing power?". The problem with allowing a malfunctioning engine to continue to operate is the possibility that the malfunctioning engine could take out the good engine. Pilots have a natural tendency to immediately reduce the collective after an engine failure. In a single engine helicopter this is an imperative reaction to maintain rotor rpm. 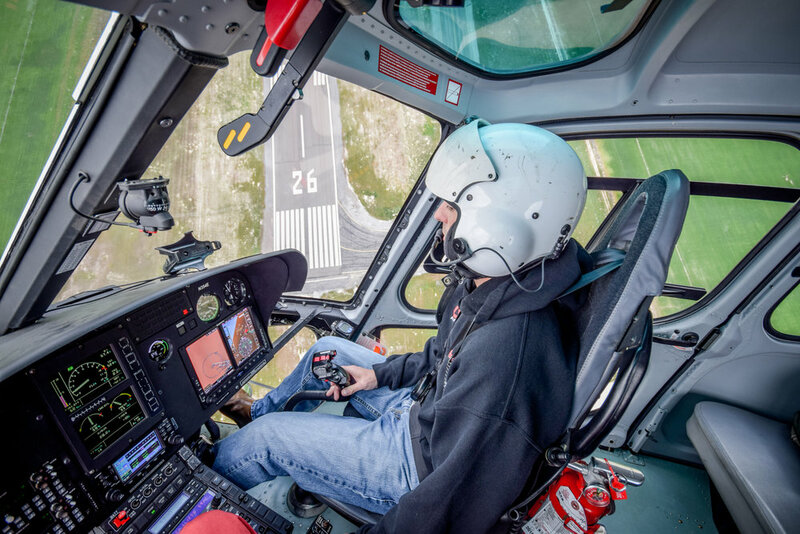 In a multi-engine helicopter it is important to develop a muscle memory to only slightly lower the collective if the remaining engines parameters are about to exceed their limits. If the collective is lowered immediately after a single engine failure the remaining engine not only has to supply power for continued flight but must now also overcome a descent that the pilot has created. EuroSafety multi-engine airframe courses not only give the pilots a thorough understanding of the emergency procedures and systems associated with a single engine failure but, through addressing engine failures at various segments of flight, condition a muscle memory in the pilot. To enhance safety during single engine training and to reduce wear on the aircraft all the surface maneuvers are conducted to a runway environment. This requires the helicopter to be equipped with carbide skid shoes. If the training aircraft is not equipped with these shoes ESI can provide a set, free of charge, during the training event. 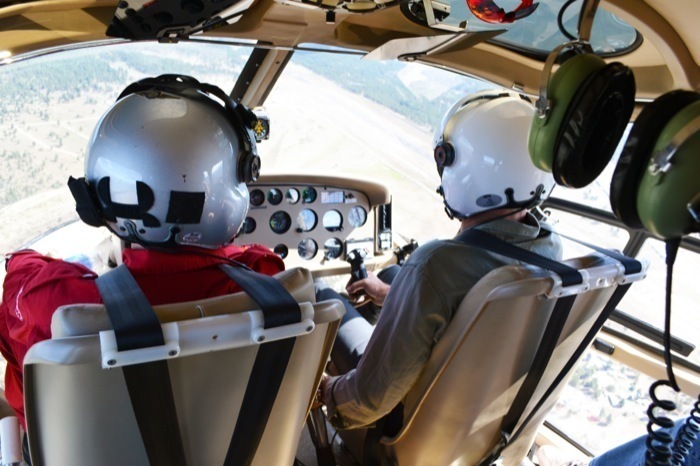 A hydraulic failure can be either a very simple maneuver or an extremely difficult one to deal with in a Eurocopter product, dependent upon the training the pilot acquires. There are an array of examples of unsuccessful outcomes after hydraulic failures and many more of successful landings. The situation then begs the question "why is it that so many pilots have had no problem landing the helicopter after a hydraulic failure and others result in a tragic event?" For an overwhelming majority of these accidents the pilot was not properly trained or current in the landing segment of the maneuver. With proper training on the hydraulic system and the emergency procedures associated with it a hydraulic failure is a very manageable maneuver. Because of the many misunderstandings of the system, EuroSafety goes into a great amount of depth when covering the hydraulic system. 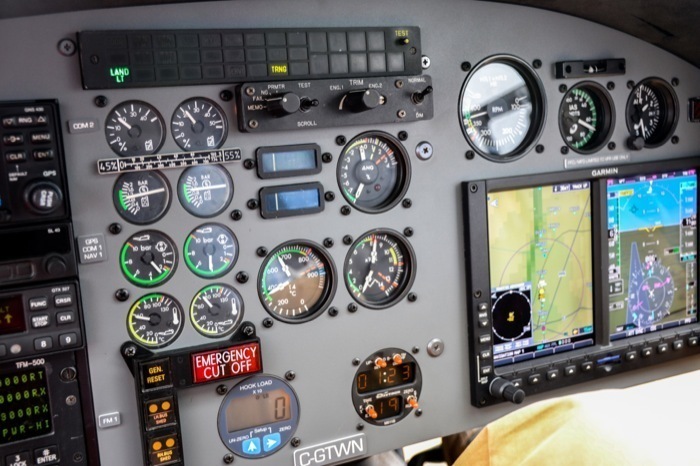 The ground school, through system and accident review, provides the pilot with a thorough understanding of the system. The hydraulic emergency flight training exposes the pilot to the failure in various segments of flight in order to provide confidence in performing the maneuver. All hydraulic failure maneuvers are flown to the ground to a complete stop. Addressing a fixed pitch in the tail rotor system is most often not an emergency that requires an immediate reaction from the pilot. This allows the pilot time to analyze the situation and make a plan of action for dealing with the issue. Landing a helicopter with a fixed pitch tail rotor is a finesse maneuver that requires knowledge of the procedure and practice in its execution. The flight manual description for landing the helicopter with a stuck pedal is vague and requires interpretation. This has created a situation that has produced many different variants for this procedure, most of which work until the landing needs to be performed. Pilots discover that describing the landing portion without practicing it can have devastating consequences in the actual performance of the maneuver. EuroSafety teaches the method for performing stuck pedal maneuvers which is utilized by the manufacture in France. This includes the final portion of the procedure which is taking the helicopter to the ground. The key to successfully dealing with a failure of a fuel control governing system is a thorough knowledge of the airframe system. Most models do not provide for a method of practicing the failure which requires the pilot to have an even more in-depth knowledge of the system and emergency procedure. The EuroSafety ground school presentations provide for a thorough knowledge base of the systems by presenting the information through computer generated graphics, animations, videos and the ESI Systems Manual. 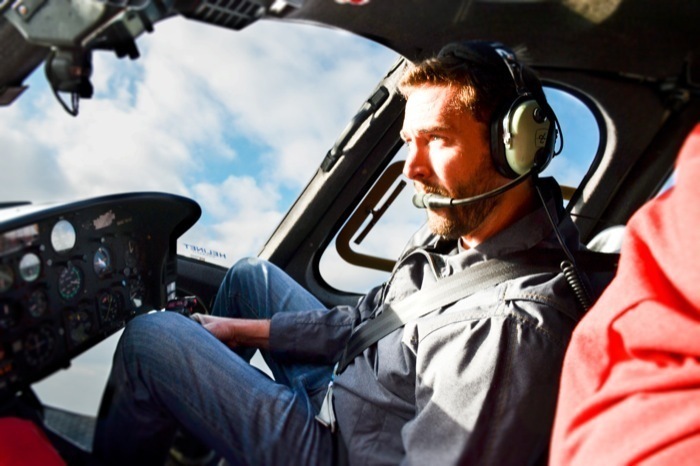 The AS350B3 2B, AS355N and EC135 models provide for a method of inducing a governor failure to allow the pilot to practice the emergency procedures. As with all emergency procedure training the goal is to build proficiency and confidence in performing the procedure. In models that allow for governor training, EuroSafety exposes the pilots to the failure in various segments of flight and completes the maneuver to a full touchdown landing.